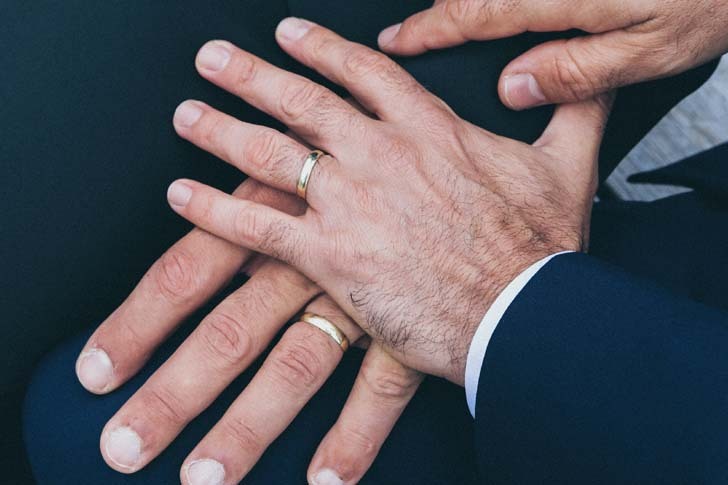 After being pronounced partners for life, the excitement of changing one's name to match the love of a lifetime should probably be the most exciting thing ever. Except it's not — because the amount of paperwork, protocol, and hoops you need to jump through in order to get it done is migraine-inducing at best. Slomique Hawrylo, a California-based celebrity party and wedding planner, told POPSUGAR in an email interview that making a list of all the places your name will need to be changed and then tackling them from the most to least important, will help you begin the process. [post_ads]"As you are planning your wedding, it is important to take a little time to construct a list of accounts that must get updated with your new last name after the big day. Prioritize the list to reflect the accounts that needs updating as soon as possible such as your social security card, driver's license, and bank accounts — in this order. Then, follow this with all other accounts, including your employer, utility bills, credit cards, doctors office, voter registration office, investment accounts, passport, landlord or mortgage company, gym memberships, etc.," she said. Here is what you will need in order to make this process as painless as possible after receiving your official marriage certificate. Social Security Card: This should be done first, as it is needed to do several other key name changes. Hawrylo noted that you can now change to your married name online by visiting the Social Security Administration's website and by filling out an online application. Your social security number will remain the same, but it will reflect your new moniker. You should expect to receive the new card within 10 business days. Driver's License: Visit your local Department of Motor Vehicles location to do this and to expedite the process, make an appointment online and fill out all name change forms prior to stepping foot into the store. Hawrylo said to make sure to bring your old license, marriage license, and new social security card along with any other required identification in order for this process to go smoothly. Bank Account: Visit the branch in which you do most of your physical banking and bring your marriage license, your new driver's license and your new spouse if you have joint accounts. You should request new checks, debit, and credit cards. "Ask your rep if they can expedite your cards and checks, and if you have a great relationship with your bank, they will waive the fees," said Hawrylo. Everything else: "Now that your top priority accounts have been updated with your new married name, all the other accounts will be a breeze to change. You can call and inquire about the necessary items you will need to make updates and changes," explained Hawrylo. The good news is that some of the changes can be made over the phone or online, making it easier to spend more time nestling in to married life with your new beau and less time dealing with paperwork.